Hope you're all well! 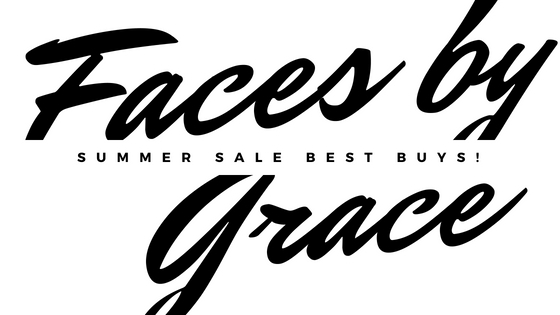 A lot of you have been enjoying recent fashion posts over here on FacesbyGrace.com which is great! If you missed them, check out some recent posts including occasion looks to inspire you for wedding season and the best summer style buys right now. In this post, you can enjoy a breakdown of what is on trend right now and get up to date with some of the key pieces that you will want in your wardrobe over the next few months to be top of the style stakes. It's easy to know what has been trendy in the past but it is harder to predict what is going to be on trend in future or even right now. Since we are approaching the weekend, sit back, grab a cuppa and enjoy flicking through the latest trendy best buys! Inspired by the Kardashians, expect to see a lot more people wearing cycling shorts - yes, cycling shorts. While this is a bit out there for popping to the shops it can actually add a lot to a simple outfit and Missguided is calling it 'the new essential'. Jazz up your favourite day dress by wearing cycling shorts underneath or show off your style by going full on Kim K with a cycling short unitard. Autumnal colours like golds, browns, oranges, reds and greens are on the hotlist right now too. Technically it is autumn, even if we're not ready to let go of summer just yet - and it is the right time to start bringing these beautfiful colours into your everyday outfits. Clashing prints is already a firm favourite trend and it is here to stay with beautifully flowy dresses clashing while still marrying together in stunning styles. Check out some everyday inspo for this below. Polka dots never go out of fashion! Every now and then they surge into the spotlight and now is one of those times. A classic black and white or red and white polka dot print will be something you can always turn to. There are some gorgeous polka dot pieces on trend at the moment that could be your next day or night outfit inspo! Festival fashion - Best buys online right now!